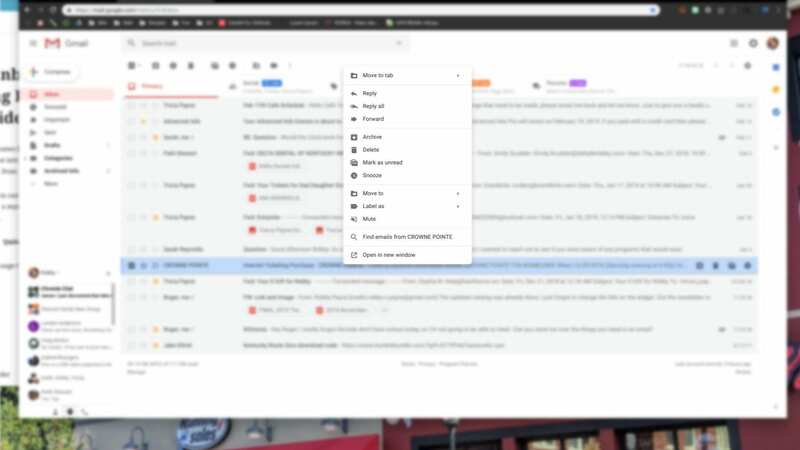 About a week ago, news began rolling out from the G Suite Blog about an update to Gmail that introduced a highly-productive new feature: a right-click context menu from the inbox view. From this menu, you can now right-click (two-finger click) any message in your inbox and get a myriad of quick options without ever needing to open the actual message. What can you do? Quite a bit, actually. As you can see, the amount of utility here is quite vast. If you have a message in your inbox and you already know enough about the contents to take action on it, you can do most things right from this menu. While none of the options are unique, the fact that it won’t take back-and-forth movements to accomplish your tasks will save time over the long run. When this was first announced, no one in our office had access to the options, so we weren’t able to test it out. It seems that over the past day or so this new Gmail feature has become widely available and you should be able to take full advantage of it whether you are a standard Gmail user or a G Suite user. As Inbox is finally coming to it’s end in just a few weeks, it is great to see Gmail getting more productivity features. Now, if we can get those Inbox Bundles over to Gmail, we’ll be in business!